All fabrics are available for purchase here. This hand-painted bag is a unique piece. 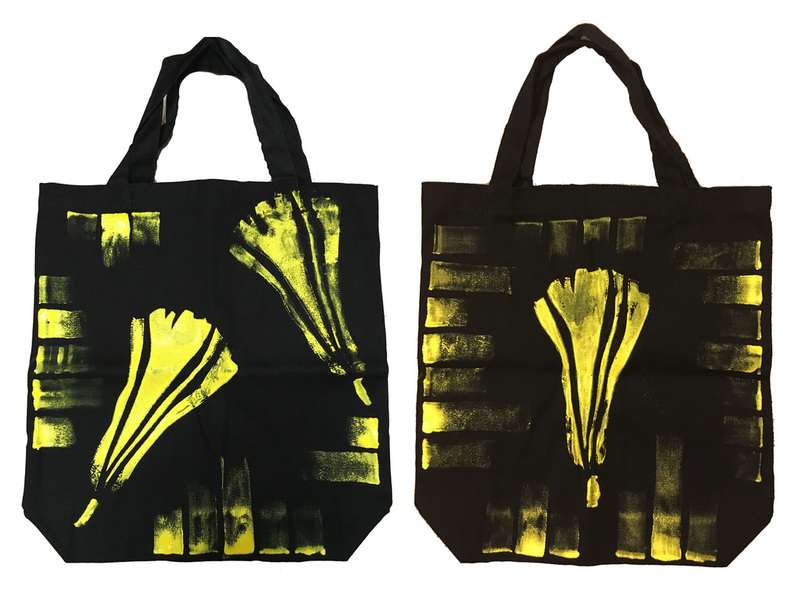 It is made out of a sturdy cotton canvas (12 x 12 inches with a handle) and holds a stencil I created (to imitate the shape of a tulip) and free style rectangles of yellow that fades out (to imitate the cool nature of our cities). ​Need a bag to hold your lunch as you travel to the office? Need a bag to carry your library books? My bag is perfect for many occasions in your life! Place your order today by contacting me!